From Williton, you will reach Alcombe now linked to the main town but once a separate village, and which still has the friendly feel of a village. Old cottages line the route leading up through Alcombe Combe to the open moor, a walkers paradise and where mountain bikers will find some challenging tracks. 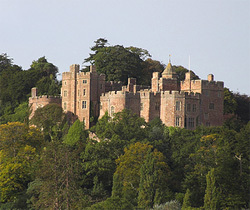 For the more energetic we are right on the doorstep of both the Quantocks and Exmoor National Park. Walk, cycle, ride - the choice is yours! The medieval village of Dunster is just over the hill with a fabulous castle, Yarn Market, interesting shops and a water mill. 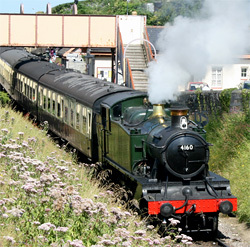 Travel back in time on The West Somerset Railway, one of Britain's best and longest Heritage Steam Railways. Beautifully restored historic steam locomotives take you on a twenty mile scenic journey from Bishops Lydeard, through the West Somerset countryside to the seaside holiday resort of Minehead. A wonderful day out for all the family. 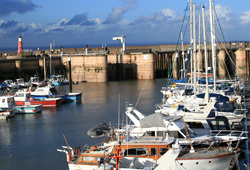 You can also visit the ancient harbour town of Watchet where you can walk around the marina, visit the Watchet Museum or explore the renowned "fossil coast".